Manual handling has been defined as ‘any handling task involving the human body as the power source’. It therefore includes lifting, lowering, pushing, pulling, carrying and holding. 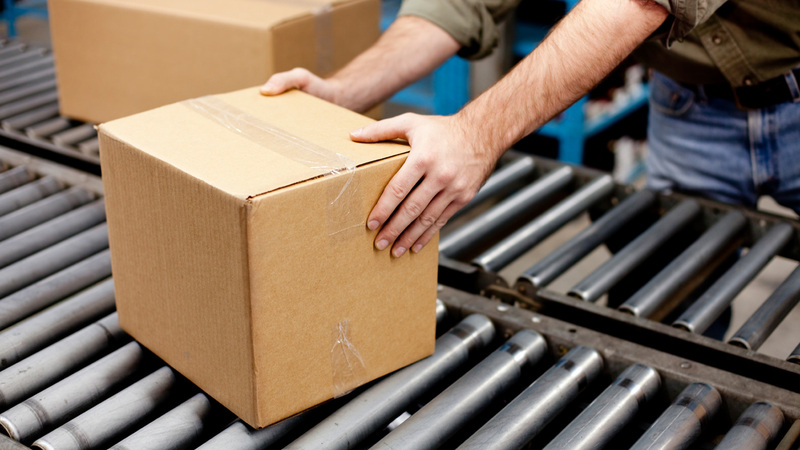 The most common injuries that occur as a result of manual handling are strains, sprains and slipped discs, i.e. musculoskeletal disorders (MSDs). One of the most frequently asked questions is “What weight am I legally permitted to lift?” The simple answer is that there are only guidelines, and no limits. 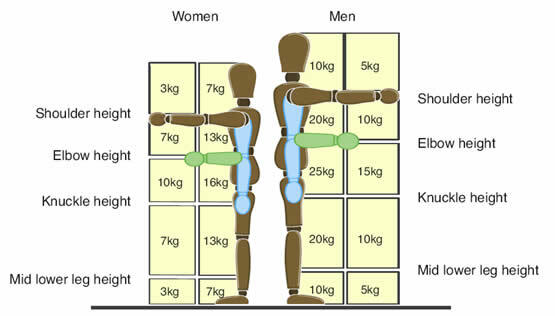 For example, a sack of potatoes weighing 25kg may be lifted safely by an individual who is properly trained and physically fit. By contrast, however, we have all heard of people who injured their back by lifting light weights such as a file in the office. It is therefore very important that employers look at their manual handling activities and try to ensure that employees are not put at unreasonable risk. Such prudent measures as manual handling training (which must be appropriate to the type of work) should be used. It is especially important to record the training and to provide refresher training at appropriate intervals. An ergonomic approach must be used when designing the manual handling operation, to make the job fit the person, rather than the other way around. The level of detail of the manual handling risk assessment and control measures implemented will depend on the complexity of the task. A more thorough approach will look at all the manual handling hazards, taking into account the nature of the task, the physical capabilities of individuals involved in the task, the size and shape of the load, and the environment in which the lifting operation is being performed. These form the mnemonic TILE. Most of us use standard workplace templates for assessing risk, but when it comes to manual handling we are often taking a stab in the dark or just using common sense to complete them. This is usually because the typical models aren’t appropriate and it really is a specialist subject. For manual handling there is a simple and effect tool called the Manual Handling Assessment Charts (MAC tool), used correctly you will be using the exact same method the HSE inspectors use. It is a tool designed to help health and safety officers assess the most common risk factors in lifting (and lowering), carrying and team handling operations. For each type of assessment there is an assessment guide and a flow chart. With a bit of practise they are extremely effective; once you have done the assessment you will then be in a stronger position to justify control measures. If your manual handling operations include pushing and pulling, then visit the HSE website for the Risk Assessment of Pushing and Pulling tool (RAPP tool). Our new IOSH approved Manual Handling online course identifies what manual handling means, what considerations should be made before beginning a manual handling task, and the components of a good lifting technique in order to reduce the risk of a related injury from occurring.